Our Whitehouse Nursery is an integral part of our school. On joining us, from the term after their third birthday, your child will immediately feel part of our school community. The experienced and caring staff will work with you to settle your child quickly, and will regularly update you on how they are getting on. 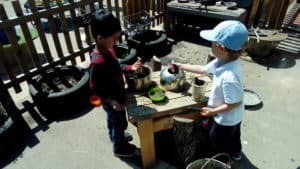 The Nursery Class and Reception Class teachers work closely together, to ensure that all of our Early Years children receive the support they need, and progress well. 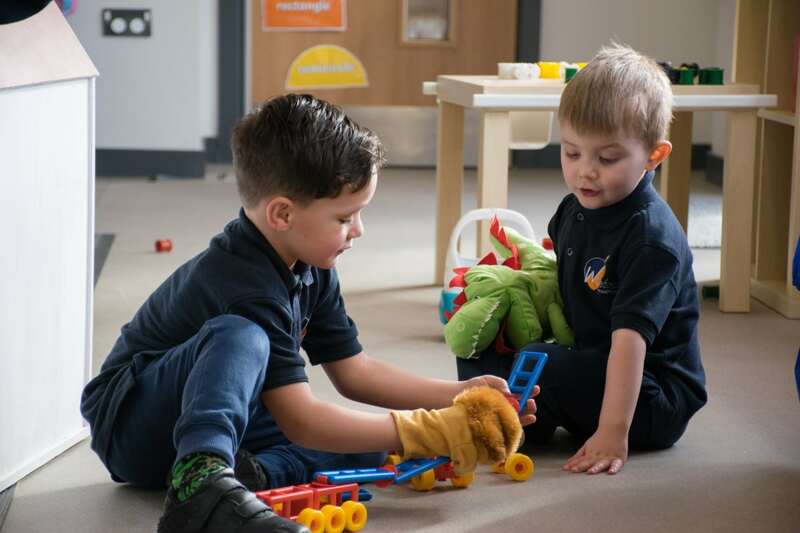 The purpose built Early Years classrooms are light and bright, and equipped with everything children need to extend their learning with plenty of activities always available for the children to explore both inside and outside. 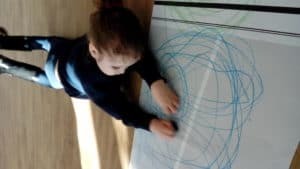 Resources are made accessible in order that children can make their own choices and the displays and creative areas are developed to enhance children’s interests. 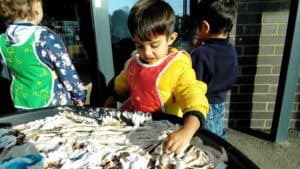 At Whitehouse Nursery we concentrate very much on the important processes of learning and recognise that because children are unique they will learn at different times and different rates. Early learning takes place in all areas of our nursery school and is shaped by the Characteristics of Effective Learning and the Prime and Specific areas of Learning and Development within the Early Years Foundation Stage Curriculum (EYFS 2017). ​To arrange a viewing, or to request an information pack, please contact the School Office. As Whitehouse Nursery is part of Whitehouse Primary School we share the same ethos and aims as the main school. We are committed to give our children the best possible future life chances, without limits on learning, attainment and achievement. We have a genuine belief that, given the opportunities, every child can succeed. Our staff are committed professionals who demonstrate a love of teaching, a passion for their own, as well as children’s learning and development, and genuine care for the children they teach. The children in our nursery class have learning all about 2D and 3D shapes. We have been detectives and have been learning to recognise shapes in the environment, learning shape names and re-creating them at the creation station! The children are really proud of what they have created. 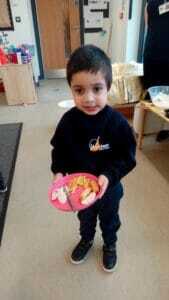 The children enjoyed celebrating Chinese New Year by tasting a variety of Chinese food in nursery. The spring rolls and the prawn crackers were a massive hit! The children also listened to the story of the Chinese New Year and watched the famous ‘Chinese Lion Dance’. The nursery children love to get messy! This week they have enjoyed exploring lots of different textures and materials such as jelly, foam sand and shaving foam! The children particularly liked the chocolate play dough! 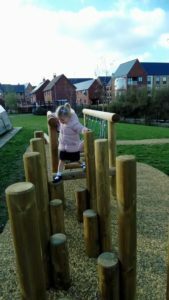 The nursery children have been working really hard this week, so as a reward we visited the adventure playground. They loved it!! We climbed like monkeys, ran around like cheetahs and laughed as loud as hyenas! It was great to see the children challenge themselves and have lots of fun! Today we enjoyed a story about Peppa Pig and her birthday party. Once we finished the story, we all shut our eyes and when we opened them again, Peppa Pig had come to life! 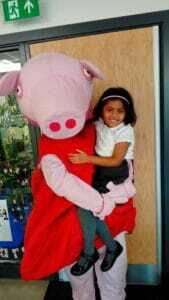 We then sang happy birthday to Peppa and all had a photo with her! 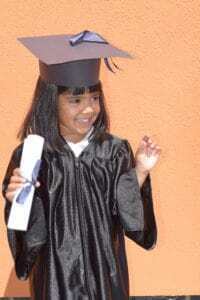 Our nursery graduation ceremony was a magical but emotional morning! It was lovely to see all the children share this moment with their friends and families. They have all grown into such confident and driven children and the nursery team know they will continue to thrive in Foundation!! We also enjoyed some lovely cake too! 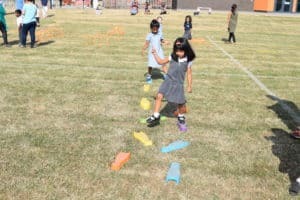 The nursery children had lots of fun at sports day. We jumped over hurdles, played bat and ball and even scored a few goals during football! 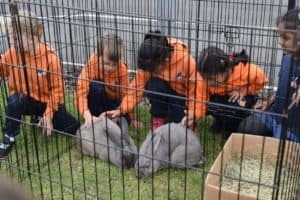 Thank you to all the parents for joining us and making it such a lovely morning… the children have been talking about how much fun they had all week! Fun at the Farm in Foundation and Nursery!